Recovery Pathways, LLC offers innovative outpatient rehabilitation programs for adolescents and adults with drug and/or alcohol addiction, as well as mental health disorders. Located in Essexville, MI. Recovery Pathways, LLC was designed with the physical, social and emotional needs of patients in mind. We also have a second location in Ortonville, MI. Recovery Pathways is guided by the philosophy that mental health and substance use disorders are progressive illnesses, treatable through professional and compassionate care, strong family involvement, education, and ongoing support. The goal is to help each individual attain the tools that light the path to a fulfilling personal recovery. 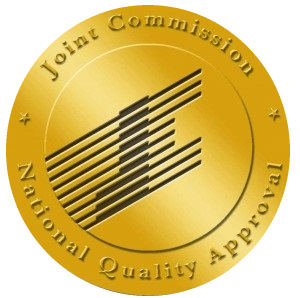 Recovery Pathways, LLC is licensed through the state of Michigan as a substance use and mental health disorder treatment facility and is accredited by Joint Commission .Recovery Pathways, LLC offers professional counseling, educational services, and medical management from a treatment team composed of interdisciplinary Specialists. Our staff has experience in outpatient, residential, correctional, and probation/parole settings. We accept many insurances including Medicaid, Medicare, and several commercial policies; it is your responsibility to be aware of your coverage. Please call the office to verify if your insurance plan is accepted. Funding assistance through Mid-State Health Network may be available for those who qualify. Discounted appointment rates based on a Sliding Fee Scale may also be available to those who qualify. Simply call989-928-3566 for more information. We are now part of your Patient-Centered Medical Home Neighborhood!